Arrive by plane in Anchorage. 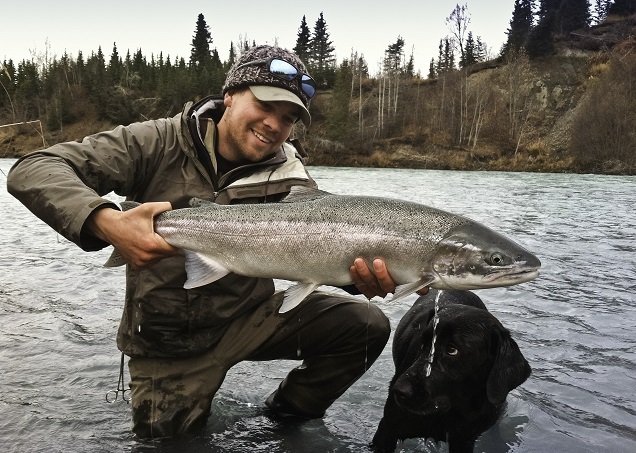 Steelhead Bus, driven by owner Matt Sprecher, will shuttle everyone to our cabins/base camp for the week on the Kenai Peninsula. We will settle in and hop a flight from Homer to a secret village on Sunday morn. After fishing on Sunday we will stay in Wilderness Cabins that night and fish the next day at an undisclosed location. We fly out that night back to Homer in time for dinner at our base camp on the Kenai Peninsula. The next morning we will be floating and fishing the famed Anchor River in style. Our form of river transportation and knowledge of the river system is exceptional to say the least. And we are the only ones doing it like this. You’ll see! We will repeat this adventure Wed the 25. We round off the trip with relaxing but productive floats on the Kenai Peninsula waters via Drift Boats and wade fishing if you so choose on Thurs and Fri.
All meals (breakfast, lunch and dinner)will be prepared and homemade by Matt’s wife Rosie. She’s the best! Our trip will come to a close with a celebratory dinner on Friday night and the Steelhead bus will leave the next morning the 28th for Anchorage for everyone’s flight out and bid farewell. 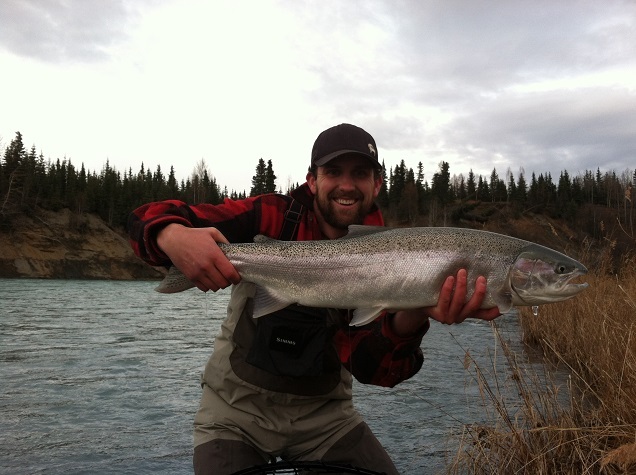 This is truly a custom and special trip in a very special part of Alaska chasing our favorite fish, Steelhead. Trip cost is only $3450 per Angler and covers everything except your fishing license, round trip flight to Alaska and guide gratuity.